Claimed to be wider, lighter, and stronger than their predecessors, all three new rims feature a lower profile design for better durability (click to enlarge). 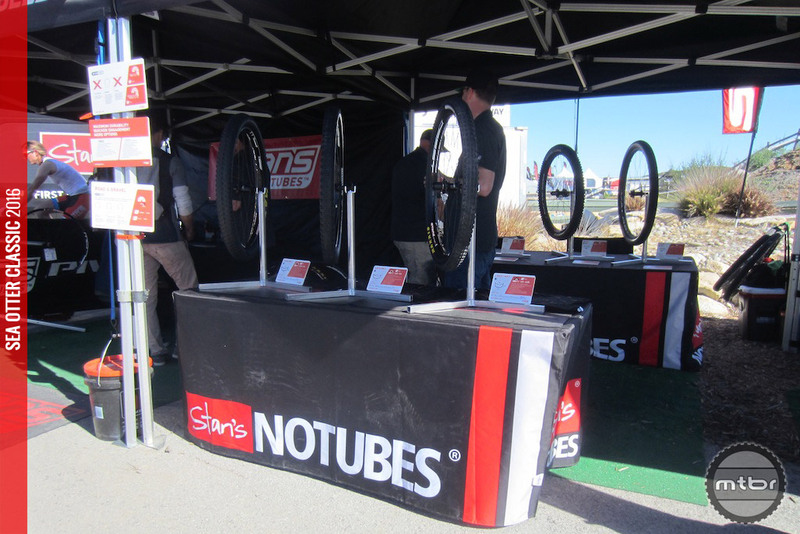 Stan’s NoTubes pioneered the concept of tubeless tires, and then made the system even more effective by developing their own line of alloy rims known for being lightweight and durable. Taking cues from what they learned during development for their Valor carbon wheels, NoTubes has launched redesigned versions of its Arch, Crest and Flow alloy rims. Claimed to be wider, lighter, and stronger than their predecessors, all three rims feature a lower profile design for better durability. Though the trend has been wider is better, Stan’s says it’s applied a WideRight concept, testing rim width for years to figure out the optimal girth for each application. The Stan’s crew was out in force at the Sea Otter Classic (click to enlarge). As a result, the XC-oriented Crest MK3 adds two millimeters of internal width while dropping weight. 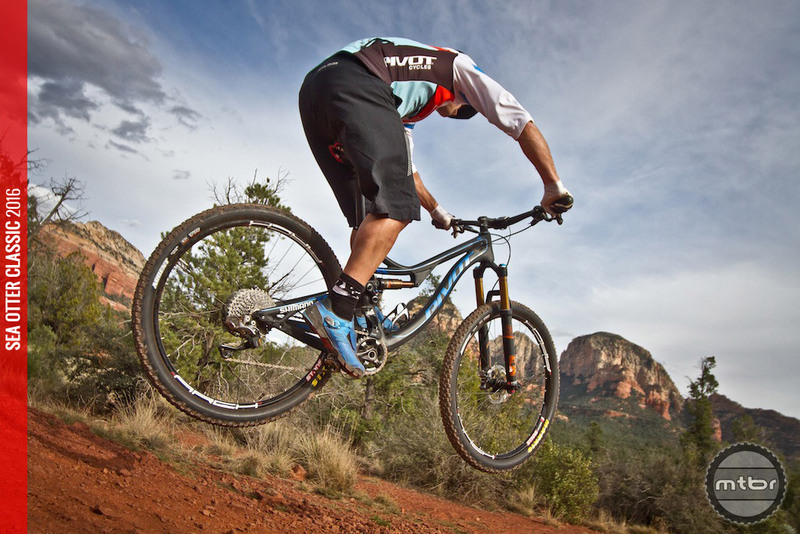 Meanwhile, the all-mountain Arch MK3 was redesigned with input from the company’s Enduro World Series riders, pushing internal width out to 26mm and improving lateral stiffness by 25 percent while keeping weight at 425 grams for 27.5” hoops. Proven on the downhill World Circuit, the new Flow MK3 features 29mm internal width for tires up to 2.8” and uses a more durable 6069-series alloy. The new rim shape and stronger alloy conspires to shed 30 grams compared to the narrower Flow EX predecessor. All three rims will cost $100 and come in 24”, 26”, 27.5” and 29er. The Crest MK3 and Arch MK3 comes in 28- or 32-hole, with Flow MK3 in 32-hole only. Complete wheelsets start at $679. The Stan’s crew was out in force at the Sea Otter Classic. Claimed to be wider, lighter, and stronger than their predecessors, all three new rims feature a lower profile design for better durability. Crest MK3 Max Rider Weight: 190lbs (86 kilo) wow, I think the previous was 170lbs. Good news! Been waiting for Stan’s to join the party and up the width. Great to see these in 26″, I’ll be using these in my next wheelset.